Spurs to sell star to Chelsea? Chelsea chairman Roman Abramovich has been sufficiently impressed and is now ready to open his cheque book to lure the player to the club. 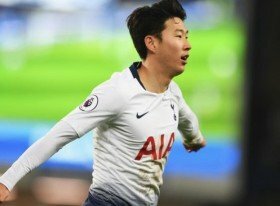 Son has drastically improved in form in recent months and the injury and absence to Harry Kane has boosted the Korean's chances of regular football and a chance to shine in the Tottenham first-team. Manager Mauricio Pochettino has told the board that he wants to do everything he can to keep the speedy attacker at the club despite Chelsea ready to triple the player's salary if he decides to swap North London for West London in the summer. Tottenham are ready to offer a new contract to Son in order to persuade the impressive forward to stay put, as they look to prepare their side for life at the new White Hart Lane.